A Hydro power module for the Golem Guardian Trap. This unit generates the standard Golem Guardian model that is one with its basic icy element. 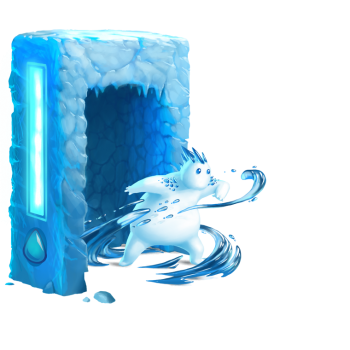 The Golem Guardian Hydro Skin Module was a reward from the Defeat the Iceberg Sculptor Mouse Adventure during the Great Winter Hunt 2018 event. 11 December 2018: The Golem Guardian Hydro Skin Module was released as part of the Great Winter Hunt 2018.